An objective witness of all trip events. Improves driving behavior, reduces judgment errors, and increases the security of employees and goods. 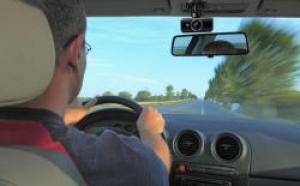 Dashcams are affixed to vehicles’ dashboards or windshields for continuous trip recording. They let you film the road and, if a second camera is turned inwards, can also record everything that goes on in the vehicle or cab. When connected to Telefleet, this video solution gives your geolocation tool an added advantage! * An American study of a sample of several thousand vehicles fitted with dashcams showed that the frequency of collisions fell 56%. Knowing that their driving is filmed, the drivers apparently adopt much more responsible driving behavior. Incorporated into the Telefleet geolocation solution: visualization of driving events based on the vehicle’s position on a map, driver identification, etc. 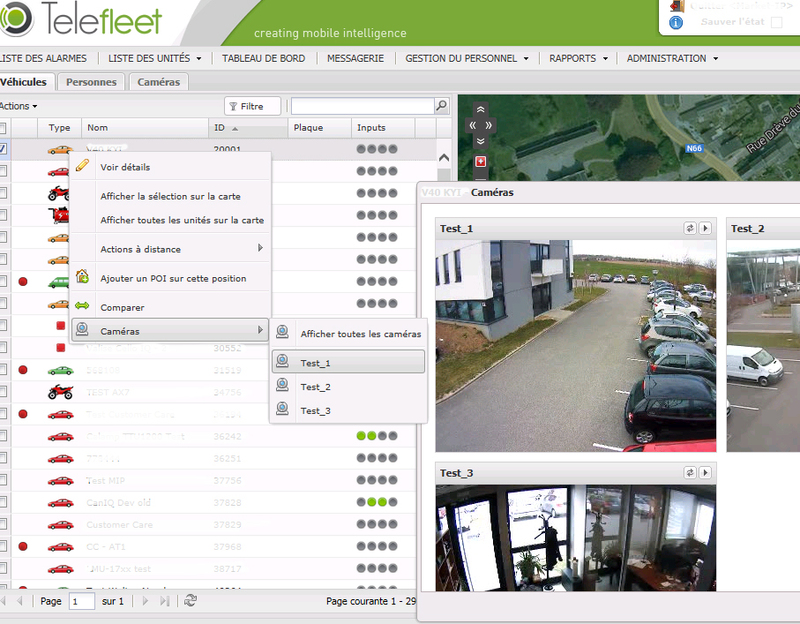 Management of several cameras set up in various places using one and the same Telefleet web application. Solution compatible with all analog and digital cameras. Designed for vehicles, containers, and trailers, but also points of interest (offices, storage areas, etc.). In project mode: Recordings can be downloaded by Wi-Fi and viewed in replay mode using the Telefleet application. Healthier driving: Truck drivers, field maintenance teams, customer service teams on the road, and so on are all drivers who can improve their driving simply by knowing that a camera can film their bad moves and moments of inattention. Reconstruction of accident: Professional drivers are subject to high accident risks. Dashcams let you view an accident and see what really happened. Security of goods: In addition to dashcams in vehicles, you can improve the security of goods and property by setting up cameras not only in containers and trailers, but also in points of interest (POIs) such as houses, worksites, warehouses, and offices.